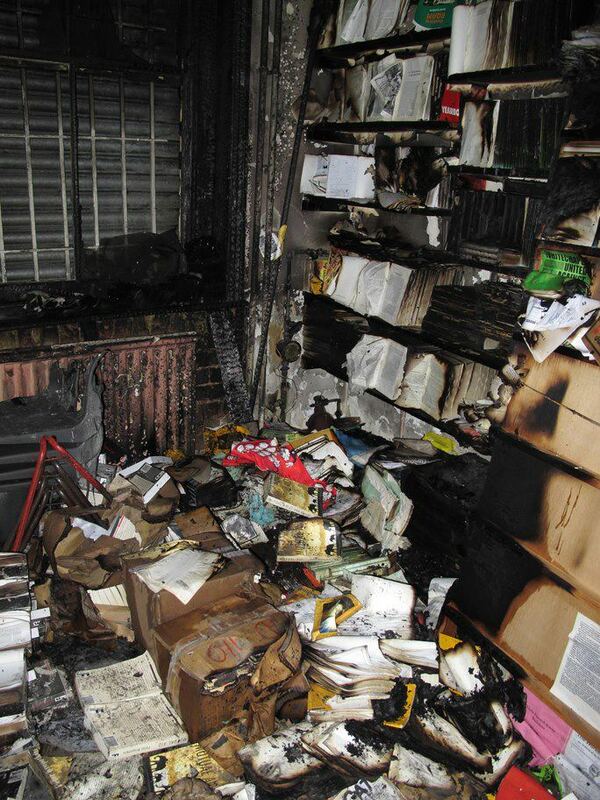 Freedom, London's oldest anarchist bookshop, was firebombed in the early hours of Friday 1st Febuary. Early reports suggest the bookshop on the ground floor and the building's electrics were "seriously damaged", despite the bookshop having been fitted with metal shutters following a bombing by members of Combat 18, a British neo-fascist group, in 1993. Thankfully, nobody was hurt in last night's attack. Freedom Bookshop is home of Freedom newspaper, Britain's longest running anarchist newspaper, as well as the Freedom Press, the country's largest anarchist publishers. It also offers facilities for a number of radical and anarchist organisations including the Anarchist Federation, the Solidarity Federation, London Coalition Against Poverty, the Advisory Service for Squatters and Corporate Watch. Freedom was founded in 1886 by volunteers including Peter Kropotkin and Charlotte Wilson. As well as arson attacks, the paper has also suffered repression at the hands of the state, with four editors being arrested for attempting "to undermine the affections of members of His Majesty's Forces" in 1945. Contributors to the paper have included Emma Goldman, George Orwell and Ethel Mannin. The bookshop remains a vital and lively hub for the anarchist movement in Britain. Verso Books offer our solidarity to Freedom Bookshop. A cleanup will take place at the bookshop at 84b Whitechapel High St tomorrow, Saturday 2nd, at 1pm. A fundraising and donations campaign will open shortly. For more information please visit the Freedom facebook page.